Ciaoi! Welcome to Italian for Fun - lessons for grown ups in Greenwich! - Intermediate: Good GCSE / ‘O’ level? Have you mastered speaking about the past? Come and practice your compound tenses - talk about your dreams, hopes and regrets! I was born in the US but raised in Italy for the majority of my life! I had to learn Italian from scratch as a child and learn about the rich traditional culture that makes Italy such a unique country. Being able to communicate with others and understand the cultural subtext of a language have therefore always been a strong passion of mine! I started teaching languages in Italy when I was 16 and I would teach anywhere I found people interested enough to learn. Whether it be through linguistic centres, private tutoring, public schools, children associations, you name it! Languages bring people together and help put oneself into perspective through the eyes of another culture. That's why I love teaching. I love people and learning through the students I get to meet. Which brings me to why I became interested in Language for Fun. The program is more focused on the importance and joy of communicating. It's not about how many words you can memorise, it's not about how complex you can get your grammar structures to be, it's about being able to get your message out. Which, I can assure you from experience, is possibly the most important key when learning a new language, and yet, a lot of courses seem to overlook that. Language for Fun promotes the same approach I would try my hardest to bring into my classes back home in Italy. 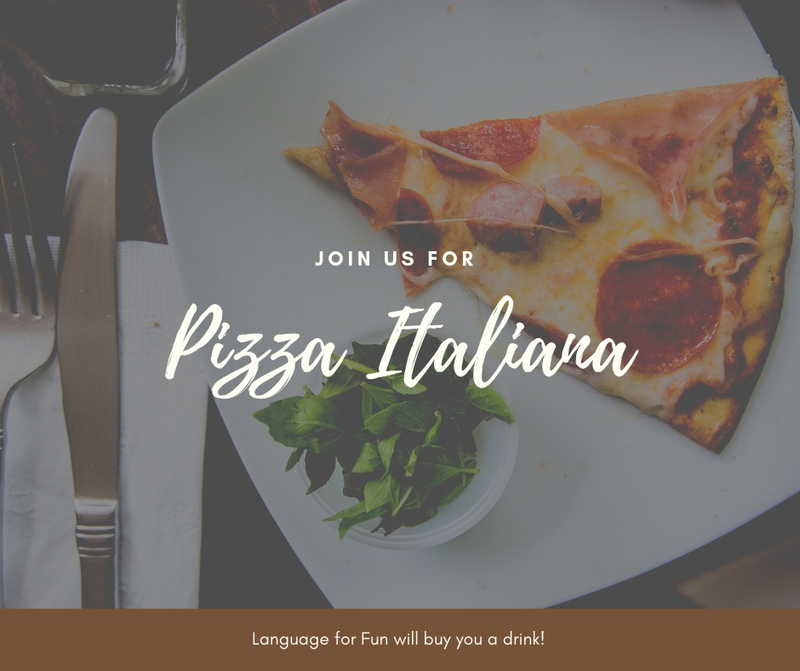 I look forward to meeting you, and hope to deliver the same love for the Italian language and culture I have, with all the tricks and facts that I learned over the years!